What does the phrase team building mean to you? Does it conjure up images of building a raft with people you’d rather not be spending your spare time with and getting wet? Well, it’s much more than that…honestly! It is very rare (in fact I would say non-existent) that a group of people who are randomly thrown together will instantly begin operating as a high performing team. I have built and worked in numerous high performing teams over the last 28 years and it has become very clear that there are several factors that need to be in place for a group of people to become a truly high performing team. It doesn’t just happen – it takes work. Lack of autonomy to recruit the right people (and not knowing who you actually need). Recruiting for skill alone (the skills section on the CV looks good) and not considering personality or 'fit' to the team. Not fully understanding psychometric profiling and how it can be used effectively. Not knowing what the purpose of the team actually is. Not getting the basics 100% right before adding the exciting stuff. People not buying into the values imposed upon them. So, before we go any further, let’s quickly establish what a team is. 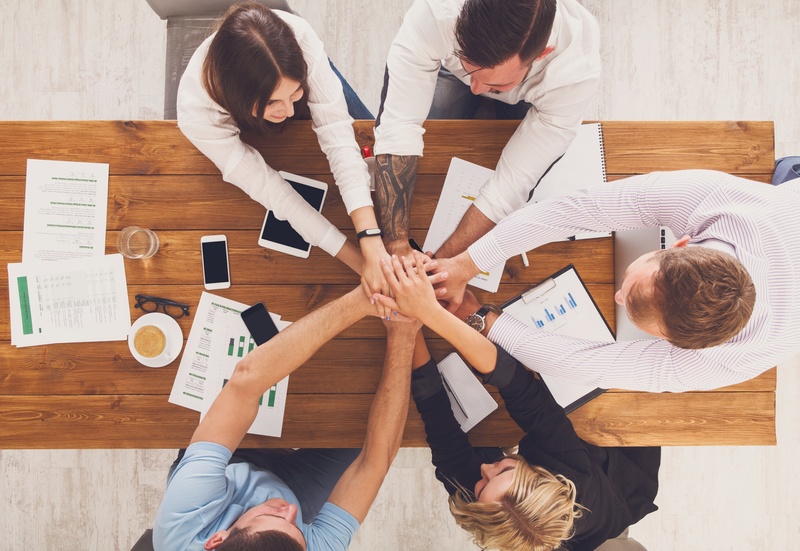 Team members operate with a high degree of interdependence, share authority and responsibility for self-management, is accountable for the collective performance, and work toward a common goal and shared rewards(s). A team becomes more than just a collection of people when a strong sense of mutual commitment creates synergy, thus generating performance greater than the sum of the performance of its individual members. Putting a high performing team together is a bit like constructing a building. Houses for example are only as good as their foundations – without a strong base they simply crumble and fall when exposed to an external pressures. The foundations of a high performing team are not the fancy and exciting things that people often think of when asked to describe the traits of high performing teams, but are actually the simple processes and procedures that have been agreed, practiced and consistently applied (just ask any successful sports team). I did some work recently with an organisation that builds ships for the military. It was interesting because in the room were lots of different specialists, the radar expert, the weapon expert, the expert who dealt with all of the computer systems on board, the catering experts etc. but the most interesting point of all was that all of these things are useless if the ship doesn’t float. This is a great example of getting the basics right before you add the fancy stuff. A team, like buildings, need a strong bond between the bricks in order to keep it together. Again, this is back to the basics – get simple procedures in place and let each ‘brick’ know its place and how important it is to the integrity of the entire building and the impact it has. Each building may have a number of specialist rooms, utility, kitchen, bedroom etc., just as each team has separate sub-departments or specialism but they all contribute to the whole. Without the input of each – it simply doesn’t work as it is meant to. Buildings don’t just happen though, even with the best builders. What is needed is the skill and vision of an architect to change dreams and ideas into a really clear and attractive vision of what the end goal looks and feels like. This is a key aspect of leadership. · Why is this team being set up – what outcome are you/the business looking for? · What difference do you/the team want to make? · Is the purpose desirable and feasible? Is it needed in the business? · Do you believe in it? 2. How will the team measure its OUTPUTS? Before you start to build the team it is important to consider what the key performance measures will be in line with the overarching purpose. This should tie in with the individual roles and responsibilities that hold people accountable. Performance measures should be a mix of qualitative and quantitative data. · How will you know you are successful? · What are the key success factors? · How will you communicate and celebrate success? · How will you deal with not achieving key performance requirements? Have you considered all external contributing factors that could impact your ability as a team to deliver? 3. What PEOPLE do you need in the team to achieve the purpose? Teams only succeed through people. Getting the right people in place and bought into the purpose before any kind of delivery takes place is essential. You may have some of the right people in the organisation already but you may also need to recruit others in. Don’t simply look for skills – think about who you want and need in the team at a human level. To paraphrase a saying that I believe was first coined by First Direct back in the early 90’s ‘Recruit for attitude, train for skill’. After all, you and all the other team members need to get on and not just on a surface level. They may be the best widget twiddler, accountant, engineer...(add your own here) in the world ever, but if their personality and behaviours don’t fit with the team then there will be problems down the line. Understanding self and others’ strengths and allowable weaknesses, through open awareness is a hallmark of a high performing team. Increasingly today’s teams operate in more matrix and dotted line environments. Through restructure and changes in management, teams might be unfamiliar with each other and need to get to the point much quicker than used to be the case to deliver results. This is why profiling such as Belbin and Myers Briggs (there are many others out there) offer such valuable insights. They can accelerate the path toward common understanding and ensure people play to their strengths and those of others in the team. · How will the team need to be set up in order to best deliver the purpose? What does that structure look like? · What are the roles and responsibilities? What do you need each person to be accountable for? · What skills, traits, attributes do we already have that we may just need to juggle around? · Which psychometric profiling tool(s) might help me/us? · Do you really know who you are, how you like to operate in a team and howyou come across to others? As a leader the way you are has a massive impact on the culture of a team. If it isn't working - are you the issue? If so, what can you do about it? This should absolutely tie in with the purpose of the team and should act as a guiding light for how you want the team to be. You may wish to call these a set of values or a team charter but whatever it is called it is so vitally important to get this right before the team gets swamped in its every day delivery because when the proverbial hits the fan and the pressure is on people will generally switch to their default setting which is why getting the right people is essential (see point 3). Guiding principles will help keep the team on track and utilise the collective strengths (defaults) when the harder challenges present themselves. · What do we stand for? · What are our key values that we will not bend on? · What is important to us? · Am I/are we considering individual values and aiming to merge them with the team’s values/principles? Don’t forget that processes do not work on their own; you need people (see point 3). A brilliant process with the wrong people will not be effective and equally, great people with bad processes will fall down quite quickly. Processes must also absolutely move you towards achieving your purpose (point 1). If they don't then why are you using them? It is important that as a leader you understand processes need to be flexible enough to deal with the reality of life – things change, customer needs can vary and sometimes you just get a 'fast ball' that can potentially throw you off track. Plan processes well – make them robust but ready to flex and be agile enough to adapt to different situations. · How will we get together regularly as a team? · What different types of meetings will we employ? Do you really need all those meetings? · What is our decision making process? Remember that inclusion = commitment. · What is our reporting mechanism? Is it too convoluted? Do the reports that reach the top actually reflect the reality on the ground or are they doctored at each stage when being pushed up the chain to make each level look better? · How will we store, access and communicate information? · How much leeway is there on each process and procedure? How much autonomy will each individual have to flex the processes and work in an agile way? · How will we execute and evaluate? 6. What will create PRIDE? · What is your team brand? This ties in with purpose (doesn’t it all?). What about each individual's drivers - the things that they feel proud about? Are you considering and including them? · How would you like to be described by others outside of the team? · What do you want to be famous for? I have found that the simple POPGAP template helps to keep on track and in a logical sequence when building a high performing team. Understand and appreciate what each person brings to the team. Leave egos at the door – there is no room for them in a high performing team. Absolutely get the basics 100% nailed before anything else. If things aren't working - change them.